Celebrate a new baby with this sweet trio of charms for Mom or Grandma's bracelet or a necklace. New Mom PANDORA charm gift set includes the Baby's Pram, Baby Treasures and Mother Heart Pink Charm charms. 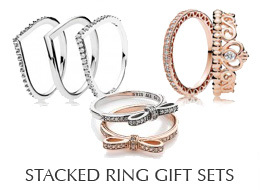 This PANDORA gift set comes boxed, gift wrapped and tied with ribbon. Ships tomorrow if ordered in the next 1 day and 10 minutes! The PANDORA New Mom, Girl Gift Set includes Baby's Pram, Baby Treasures and Mother Heart Pink Charm. This PANDORA gift set comes boxed, gift wrapped and tied with ribbon. Please note - gift wrap may differ from what is shown in the photo above.